This Detached property was built in 1911 and is priced at $1,095,000. Please see the additional details below. 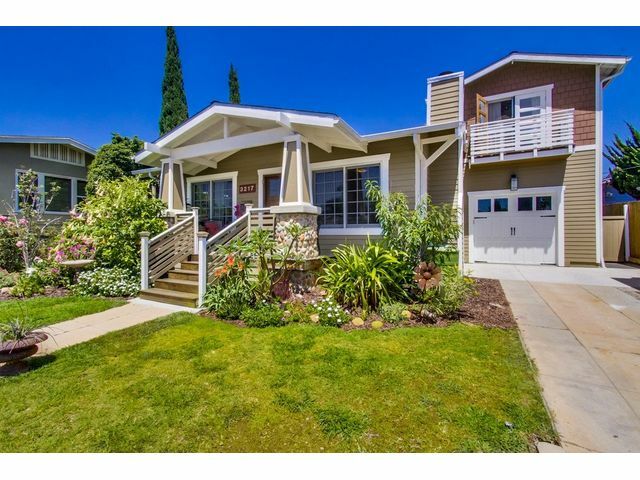 This stunning Craftsman with extensive renovation & large kitchen/family room/master suite addition. 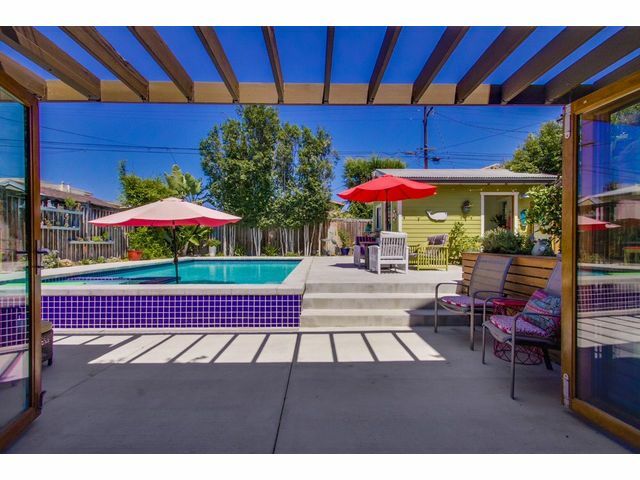 With a guest house & pool and spa in the back yard, it is an entertainer's delight. All plumbing (to city sewer line) and electrical are new, newer roof with a partial TPO eco-friendly white reflective surface. Raised vegetable beds on the roof top and over a dozen fruit bearing trees. 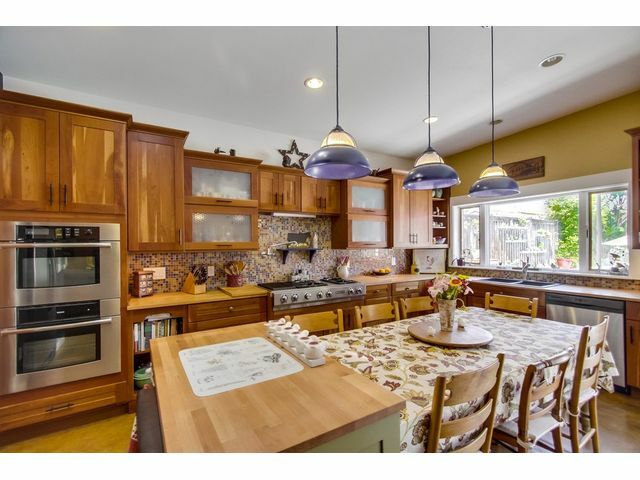 Huge kitchen with high-end stainless steel appliances, sustainably forested solid cherry cabinets. See supplement below. 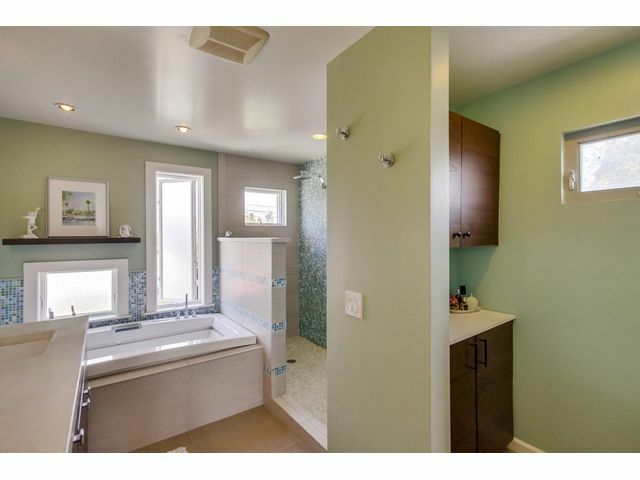 This home was written up in the Union Tribune for its amazing remodel using repurposed materials & eco-friendly creativity! The front home rescued maple basketball court flooring (rock solid! ), with inlaid bird's eye maple & an African dark hard wood design. The fireplace mantle is a combination of repurposed wood of fir, mahogany & cherry, accented with granite. Surround sound wiring both inside & out, some speakers convey. All 4 bathrooms have been taken down to the studs, completely custom and detail oriented. A massive kitchen has an island & large kitchen table that convey. Fantastic pantry! High-end appliances convey (except wine fridge in pantry). Massive doors open completely from the kitchen/family room to outside for true indoor-outdoor living. Dual paned windows throughout. Upstairs master suite is stunning. Access to a rooftop garden and a refreshing front balcony. Huge custom walk-through closet leads into a truly elegant bathroom. 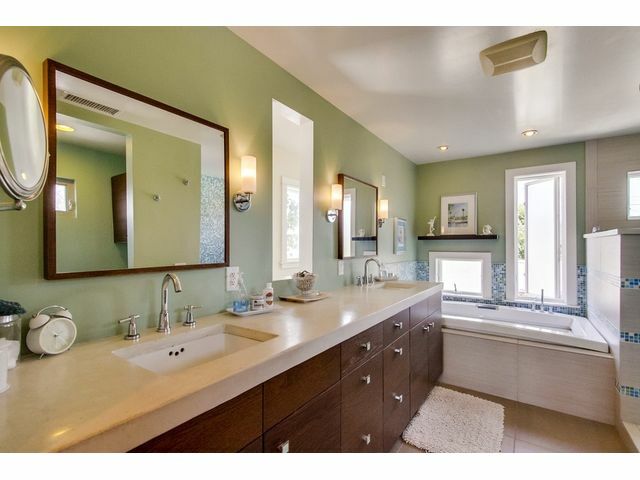 With gorgeous touches, enjoy a deep soaking tub, elegant tiled over-sized shower & large dual-vanity area. A special sliding wood door reclaimed from the historic convent at Liberty Station slides to conceal the laundry room & master suite access from the living area. Lush, mature, well designed flora & fruit/veggies throughout the front & back yards. Salt water pool & spa grace the party-perfect back yard, complete with an outdoor shower. Dog run on the side yard. Front section of home currently produces 20K plus in income from Air B & B. Chandelier and medicine cabinet in guest house do not convey.